Something big, something heavy had landed on the roof over the kitchen. The whole house shook, vibrating through the roof beams, down the walls, rattling the windows! Jolted awake, we sat bolt upright in bed, staring up at the thatch roof. Again, louder than before and now above our heads. The grey tinge of dawn could just be made out through the curtains. What would be on the attack even before the break of day? Bing, thud, thumpity, thump… something careened across the window… “Aaaaaaaargh!” came a blood curdling cry from the front stoep. “Aaaack!” came the answering challenge. Flinging open the curtains scared away the youngsters playing cymbals on the windows. M bounded out onto the stoep with a deep bark, scattering the two males squaring off to one another and in moments the invaders had vanished into the bush. Does barking at them work? Only if you have a sling and rocks in your hand, yes. M always says, they can’t count but they know what a sling is. 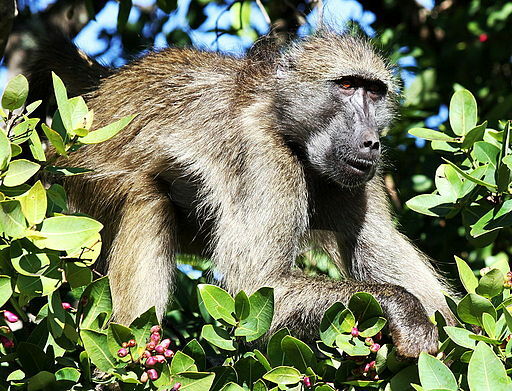 Ahhh…time for coffee… Come, join us for the everyday wildlife in our African bush. The sudden baboon attack did not present a good photo op – bad light for one and the sudden disappearance of the subjects for another. But as the morning unfolded, the everyday wildlife came wandering by, just as they do … everyday. 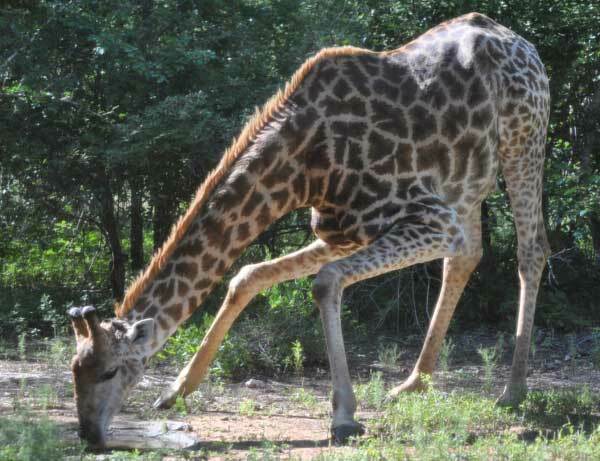 This old guy has a whole bunch of younger giraffe in his posse – he’s probably their grandfather or great-grandfather – and they all hang out together in the surrounding bush, nibbling the verdant growth of a dozen different varieties of trees. 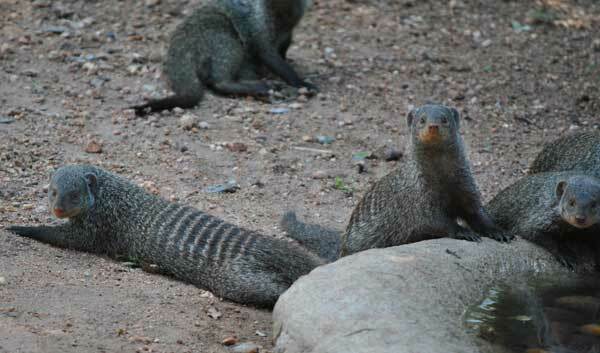 This is the gang of banded mongoose that have become part of the everyday wildlife around Little Bundu. Very tame if you don’t move too fast and they know when the camera starts clicking, it’s time to act cute. The zebra get very tame but these are wild animals and they’re totally unpredictable. 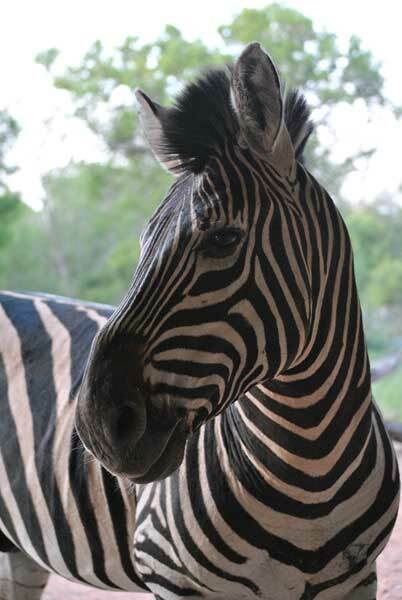 This zebra can just as easily take a nip out of you if he’s feeling frisky or wants a snack. 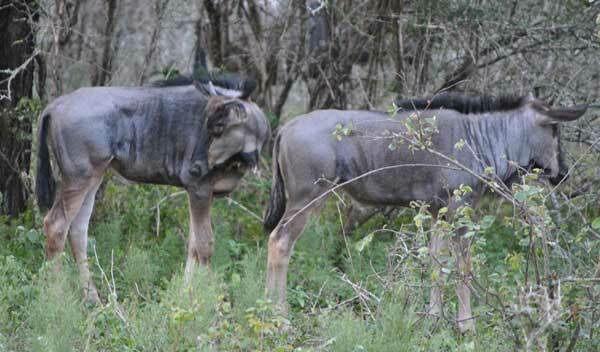 Wildebeest are lovely everyday wildlife to have around. 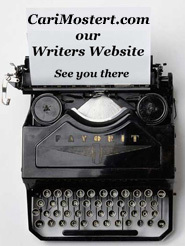 They never get too forward – you’re a people and they know they’re not. Keeping a respectful distance, they do their thing and let you do yours… well, if it’s taking pictures, you’d better be quick – they’ve more important stuff to do. Sorry, I couldn’t resist… gotta love a bad pun! 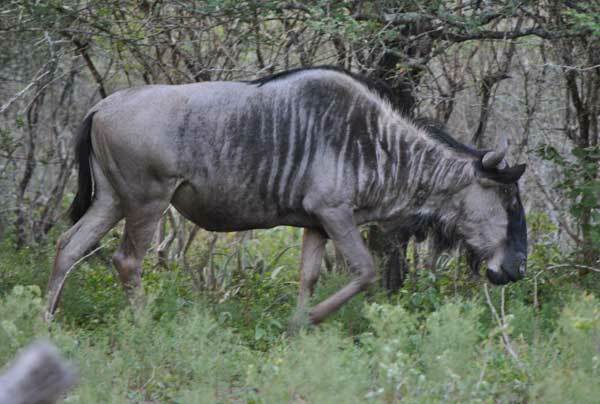 Here are some of this seasons’ wildebeest youngsters. See how they’re already developing horns. Many Magic guarri grow in the veld around Little Bundu. They’re a pretty evergreen shrub with tough leathery leaves and all sorts of traditional uses. Since the first safari guide set up with his four wheels and stock of bush lore, thousands of overseas visitors know it as the toothbrush tree. Breaking off a stick, stripping off the bark from the end and teasing out the fibrous stalk will produce a rustic “paintbrush.” Voila! You can scrub your teeth or paint some rock art. 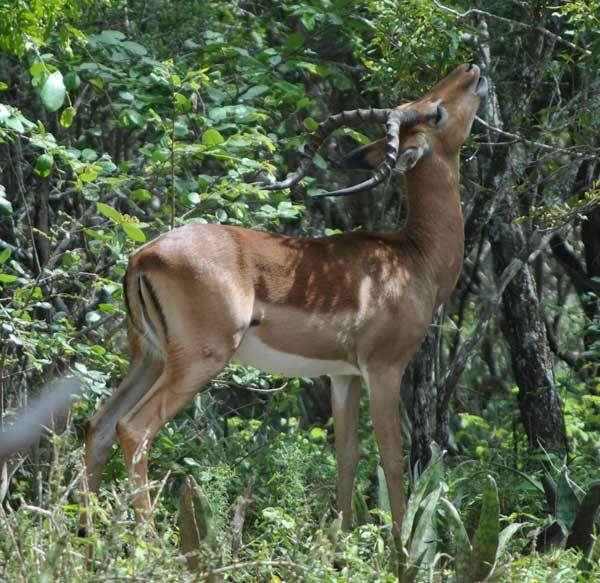 Of all the everyday wildlife, the impala are ubiquitous. While the predators like lion are mostly busy near the river, the leopards seem to keep to the ravines and dry streams. Because of this, we’ve seen a whole new generation of impala grow up around us. 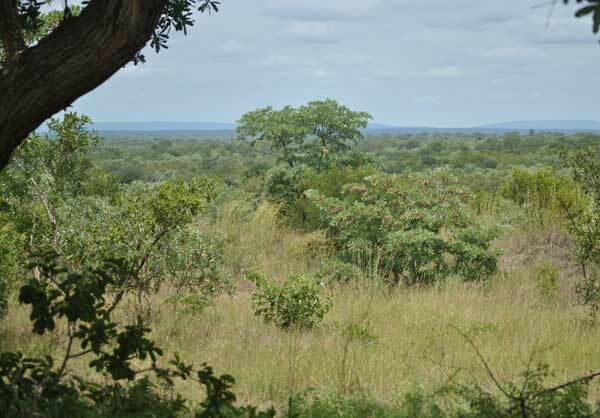 Although they’re not supposed to like the magic guarri, they along with the Kudu and Giraffe love to nibble on these bushes.